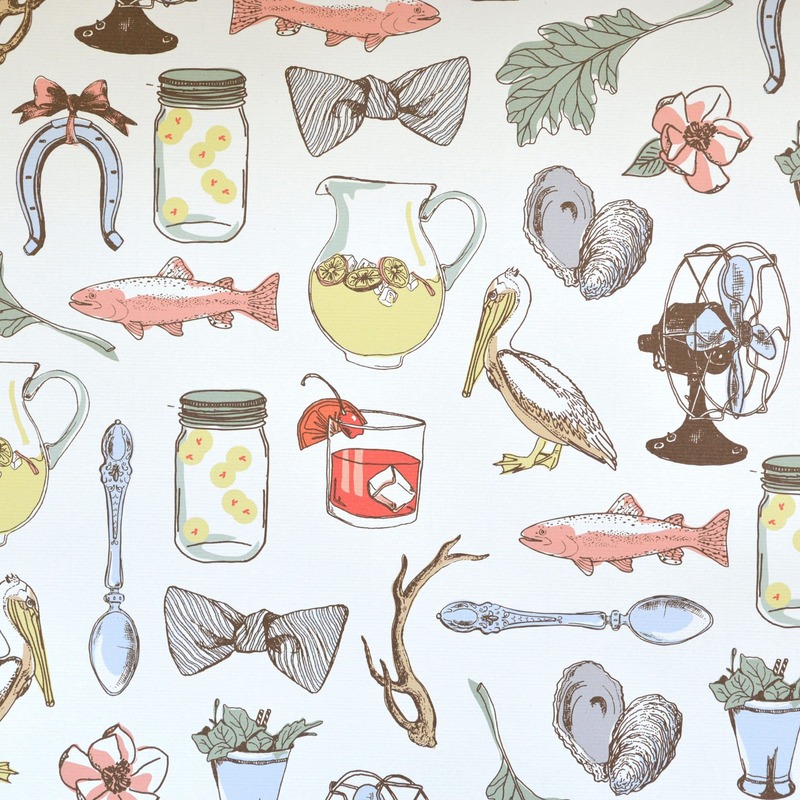 For love of all things southern, we created this wrapping paper full of oysters, old fashioneds, and seersucker bowties, among other things. Perfect for a hostess gift, this wrap is printed on soft white paper with a laid texture. Just under 20″ x 28″. *Packs of 3 sheets are customizable through request. You can pick any other two sheet designs to complete your pack via request in the notes section of your order. Unless otherwise requested, all three sheets of paper in this pack will be the Southern Objects design.